Going to try something I have not done for stocks in over 15 years. When I first started writing for WallStreetCity.com, I started to write series of articles on certain industries. The first were game stocks and I started contacting the different game companies. This was before I started a game site of my own at GameOgre.com. Think it started with one article on games and then one of my contacts at that time suggesting a series on different game companies. Then once that series was completed, we did another and then so on. From that, the concept eventually evolved into a tournament to see which was the best company etc. The tournament took a great deal of work and there were skeptics including one who called it a “dog’s breakfast”, but the whole process rewarded me more than any other articles at that time. At least the ones I remember anyway. 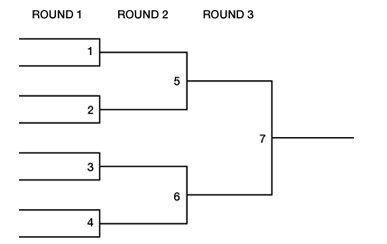 Ok, this return to tournaments will be very short compared to those from many years ago, but they do need to be simple. If it works out, there should be more than the eight stocks we are starting with here. Look for th estocks to be named this week.